We use the curriculum and textbooks of "Bible Training Centre for Pastors" (BTCP), an International Christian teaching program which works in the context of local evangelical churches. We offer two levels of training, a "Lay Leaders" curriculum to prepare men & woman to serve well in their own local church, teaching Sunday School and even preaching for some. Our "Pastors Continuing Education" level allows those already in that position to sharpen skills and for many, fill in missing parts of their education. COMMUNITY BIBLE INSTITUTE of the Poconos is here to serve a wide variety of evangelical churches. Our teaching staff of Bible College & Seminary trained instructors is committed to equipping all Christian believers, the entire Body of Christ in our area. We welcome believers in Messiah Jesus from many traditions: Evangelical Free, Baptist, Independent Bible, Messianic, Brethren, AME, Presbyterian, Methodist, Assemblies of God & many others. All nationalities welcome. Dig into God's Word under the guidance of experienced instructors! Our vision is to equip all Christian believers with training that most churches cannot accomplish on their own. 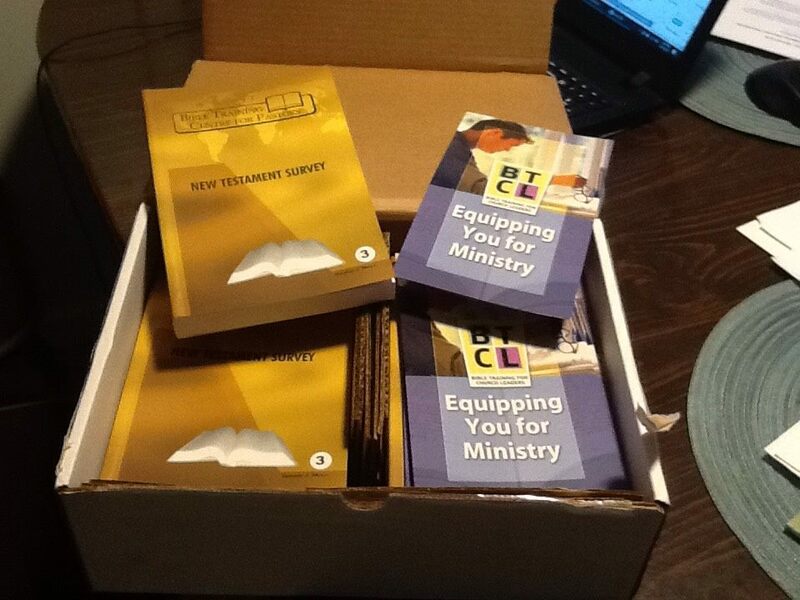 You'll return to your congregation better equipped to serve our Savior! Bible Training for Church Leaders (BTCL): A five-course curriculum offered in a local church setting. Qualified instructors lead in an interactive environment that’s conducive to focused study. By meeting three hours once-a-week on a selected night, the five courses can be completed in just over two years. A number of very excited students just finished our "Bible Study Methods" class this week. The ongoing class on "Bible Doctrines" is doing quite well and will continue through the spring. Plan ahead: Our upcoming class course will be: "Old Testament Survey", in September 2019. Please call to be included in the Old Testament Survey class. Any questions call 973-534-0835.
and alongside the Church there is plenty of free parking in the municipal lot which is lit up in the evening. Fee: only $50 per course, incl. textbook! Call us at 973-534-0835 for more information. Community Bible Institute is a joint effort of several evangelical churches in the Poconos. We are near and serve the Pennsylvania Pocono communities of Stroudsburg, Marshall's Creek, Bushkill, East Stroudsburg, Portland, Tannersville, Bangor, Milford, PA, Pike County, Monroe County, Columbia NJ. The Slate Belt ! !